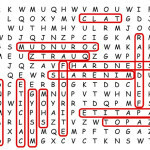 On the Kids Page you will find a word search, a vocabulary word, an activity and more, all of which relate in some way to the topics discussed in each issue. Fun facts and creative learning are what this page is all about. It could be a Junior Forensic Scientist edition, a Junior Artist edition, a general page or some other focused edition we have yet to come up with, but they all have the same goal - sharing knowledge in a way that is entertaining and accessible. And, as always, we're open to suggestions. If you think of something you'd like to see on the Kids Page in an upcoming issue, be sure to email editor@stoneadvisorymagazine.com. 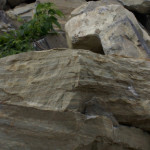 Granite can be found in quarries throughout the United States. 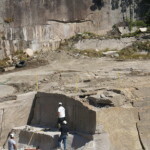 Quarries are massive pits in the ground where workers use heavy-duty equipment and cutting tools to take slabs of granite from the earth. There are 16 states in America that have granite quarries. And they dig up a lot of different granite types. Put your unscrambler thinking cap on and see if you can figure out which granite comes from which state. Ready? Did you know that you can make your own litmus paper using cabbage? Find out how and what litmus paper is used for. 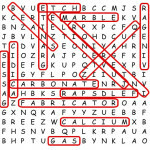 The word search terms for this issue are: litmus paper, basic, acidic, reacting agent, cabbage, vapor, ammonia, lichen, symbiotic, vapors, lemon juice, and fungus. Learn about the Mohs Scale of Mineral Hardness. Find out what an oolite is... Don't you just love the sound of that word? 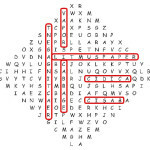 The word search terms for this issue are: talc, gypsum, calcite, fluorite, apatite, feldspar, quartz, topaz, corundum, diamond, hardness, mohs, minerals.